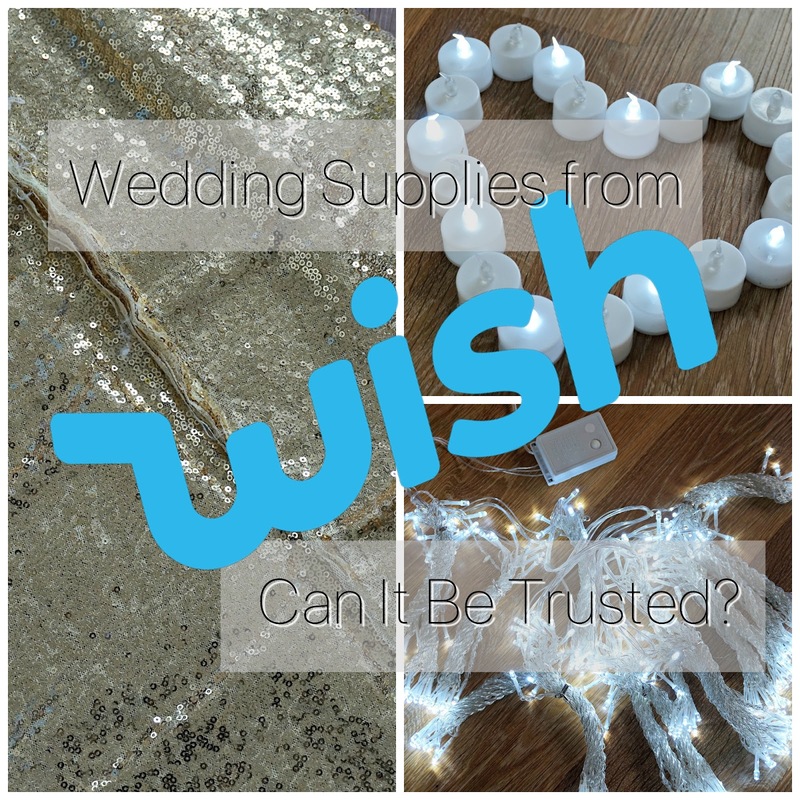 Wedding Supplies from Wish.com | Can It Be Trusted? Buying wedding supplies can be a pricey business. There's lots of different options and sometimes you have to weigh up whether you're better off renting or going DIY and doing it yourself. I've joked to my fiancé that our wedding is mostly from China but it's not far wrong when it comes to a lot of the wedding decor. Lots of things that you can buy on the High Street are available on websites like AliExpress and eBay for a fraction of the price. When it comes to a wedding every penny matters. The latest place I've seen lots of people speaking about is Wish.com and some of the prices just seem far too good to be true. I had my eye on a few different wedding supplies but I just wasn't sure if it could be trusted. I was sure that something wouldn't be right and I didn't want to be scammed. I ended up taking the plunge and buying a few wedding supplies when they had a discount code using their mobile app. Before long my order was submitted and I'd spent around £35 including delivery and I had to wait to see if anything was going to turn up before the wedding, if ever! Obviously candles and tea lights are a really popular option for wedding decor but they're not particularly practical or safe. Having battery powered ones remove the fire hazard concern and can actually be turned on and left unattended for hours so have the potential to be less hassle. The only problem is they can work out really expensive. 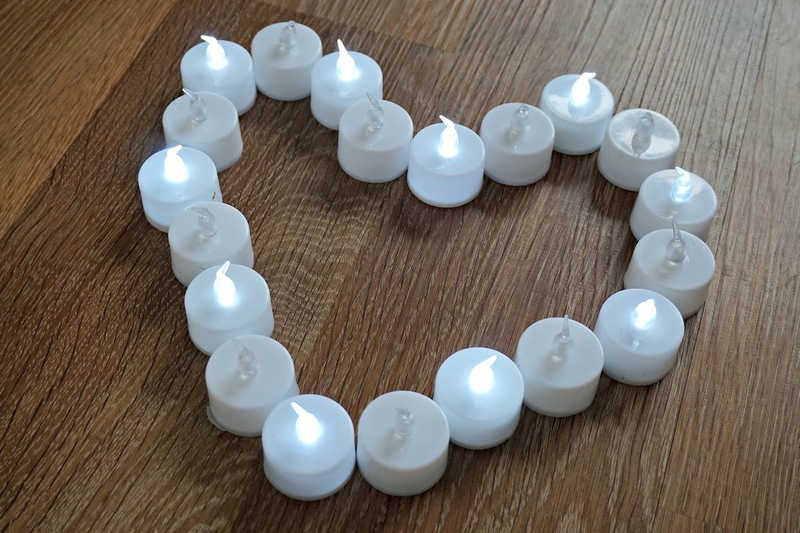 Some places charge around 50p per flameless tealight and that can soon add up. Wish seemed to have quite a few different options and it took a while to narrow it down to one of the best value. I went for a set of 20 for £3.80 which works out at 19p per tea light. That's not bad when they come with the batteries. We're keen to have quite a few photos about a our wedding. It's a way of showing our journey and a lovely way for our guests to think back to times we've spent together in our 10 years as a couple. For that I'm planning a bit of a DIY project involving a wooden pallet. I've got a sander ready to smooth it all down then I'm going to add some fairy lights. 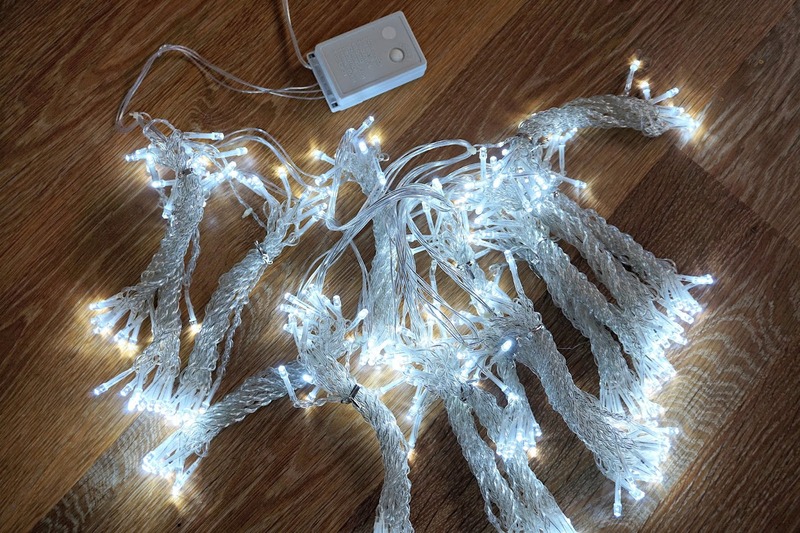 When I spotted the fairy lights with pegs attached I knew that was exactly what I needed. 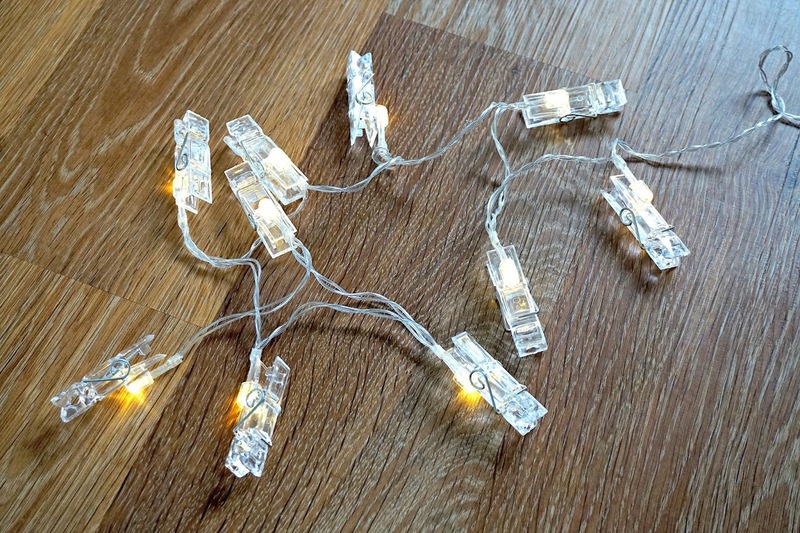 These were £2.14 and are battery operated. They are fantastic, exactly as described and good quality for the price. I would definitely buy them again and am sort of considering it for in my classroom. How cliche, a fairy light curtain at a wedding. Lets face it, it might be a common piece of decor at weddings but it's for a reason - it looks beautiful in person and in pictures. I've been looking for one that's not going to cost me around £100 and that has a UK plug and I couldn't believe my luck when Wish had one for £10.52. I had my doubts whether it would actually work but I'm absolutely delighted with it. You can have different settings leaving the lights to twinkle away. Amazing. Just when things were all going so well... I'm a total magpie and so having a bit of sparkle on our big day is a must. 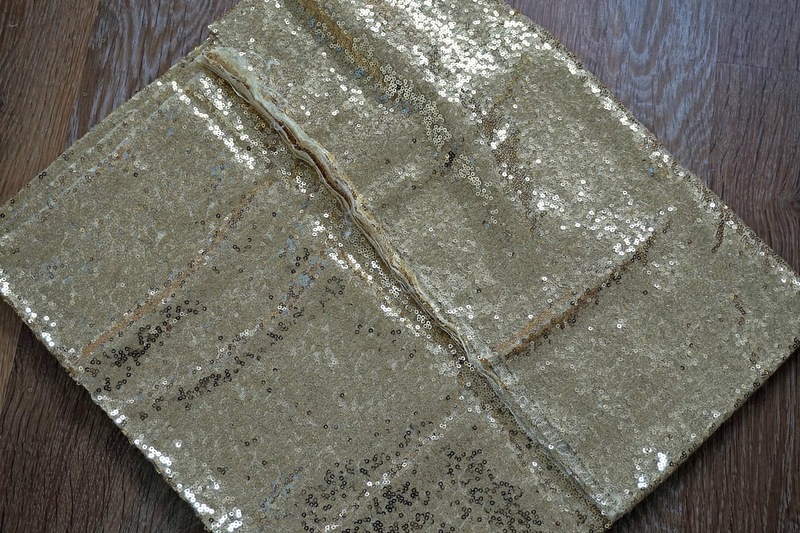 I've already got a few rose gold sequin things but when I saw the sequin backdrop for only £13 I had instant images of a Photo Booth happening and I had to buy it. It's fair to say I was gutted when it arrived and instead of being rose gold it was gold, like proper yellow gold. Not only did the send me the wrong colour it's also quite poorly finished. Don't get me wrong the whole backdrop isn't awful, but along the edges just seem a little undone. I've sent a message to complain that I've got the wrong colour and Wish were very quick to get back in touch offering a refund. Hopefully I can still make it work somewhere in our venue. So, my scepticism has been proven wrong. All 4 things arrived safely and were worth the money. Apart from the hiccup with the colour everything was exactly what I could have hoped for. As for the delivery, some of the items only took a few days! The longest I had to wait was 3 weeks. That's pretty good going. Now it's far too tempting to log back on and order some more. Maybe I'll reorder the backdrop... I have to say the fairy light curtain is my favourite.